Create an interactive catalog for your eBay items with 1-click! Send your buyers a beautiful catalog of all your eBay items! See your catalog in action now! 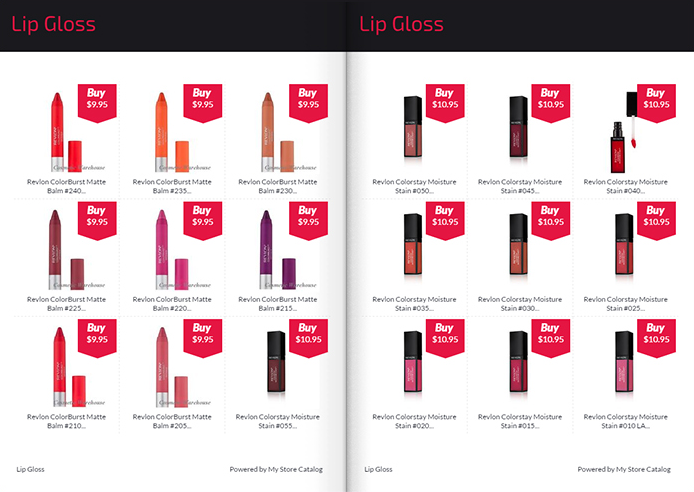 Cosmetic Warehouse, View full catalog here! 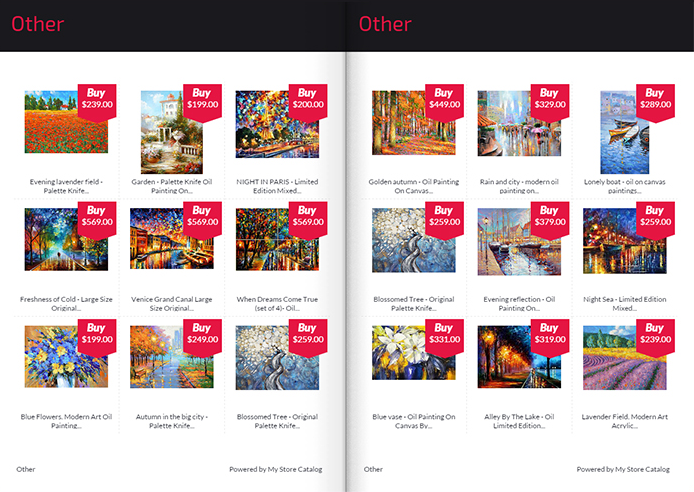 Mirsky Art Gallery, View full catalog here! Emails your buyers your catalog, getting them to come back to your store! Give your buyers a great interactive shopping experience with our awesome flipbook! Simple setup, just sign up with 1-click and you’re all ready to go! Best Idea Since the Wheel! One of the biggest challenges for someone new to marketing on EBay is getting my name and products out to the buyers. There's so much competition that it's overwhelming. When I saw this, I simply had to cheer. Out loud! Thank you for coming up with this. It will save time and generate income. What could be better than that? Unless, of course, it's chocolate. Sunnye's Merry Mart, View catalog. LOVE this! It was incredibly easy to sign up for, and the catalog is completely done for you! I liked this app the moment I saw it and especially like the instant delivery to my buyers. Why use My Store Catalog? 1. Great way to cross sell to your buyers. 2. Beautiful catalog that buyers can browse through. Very simple, just sign up and your catalog will be live right away. Next, just set up your emails and you’re all ready to go! Nope. You can at any time cancel the app. Can I personalize my emails? to your buyers and customize your emails too. Our team is standing by to answer any question you may have! Our Support team is standing by to answer any question you may have! Thank you! We received your message and will get back to you within 24 hours.